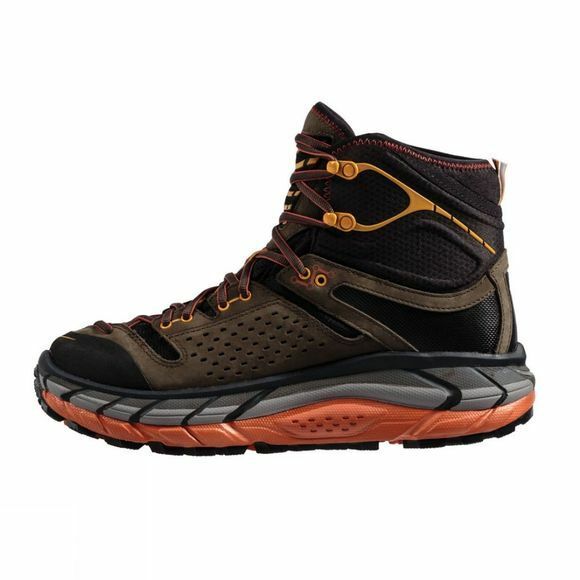 Hoka One One signature cushioning that has been available to runners around the globe for the past 6 years is now available to hikers in the Men's Tor Ultra Hi WP Shoe. A midsole blend of EVA and RMAT material provides ultimate comfort underfoot, and Meta-Rocker geometry provides a smooth ride. 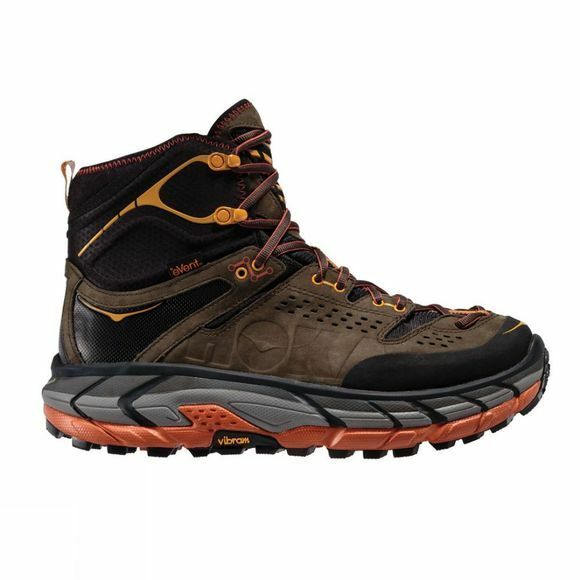 Technical midfoot geometry is designed to increase underfoot stability on uneven terrain, and Vibram MegaGrip outsole rubber with 5mm lugs provides ample traction and durability.